The PRR System work has just begun. Those working with a variety of colors and product changeovers know the importance of proper clean up and regulatory compliance procedures. Whether you're in automotive or in the industrial field, today's technical coating formulations demand clean surface, equipment and application environments. PRR's Pump In, Pump Out System is the easiest, fastest, and most cost-effective way to receive, store, and dispense solvents. 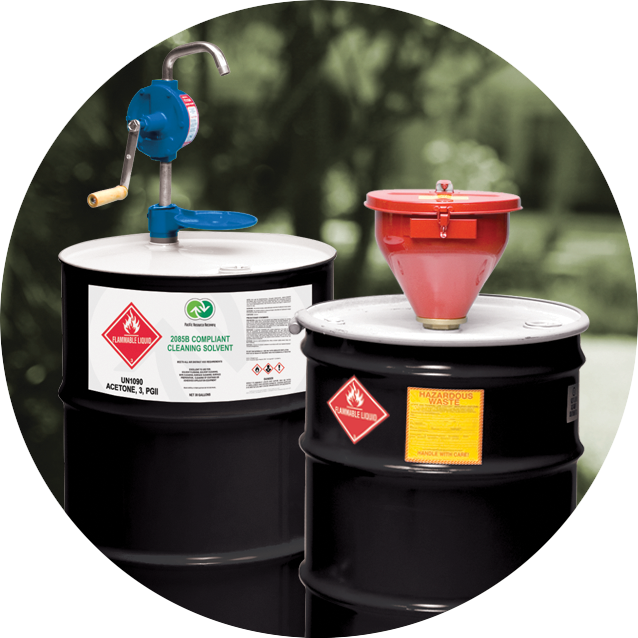 The proprietary system consists of two 55-gallon steel drums. One dispenses the clean solvent through a rotary hand pump. The other collects the waste through the FM-listed registered funnel with flame arrestor. At PRR, we truly understand the tedious preparation, time-consuming paint application process and tremendous equipment prep, as well as the cleanup through a day’s production. 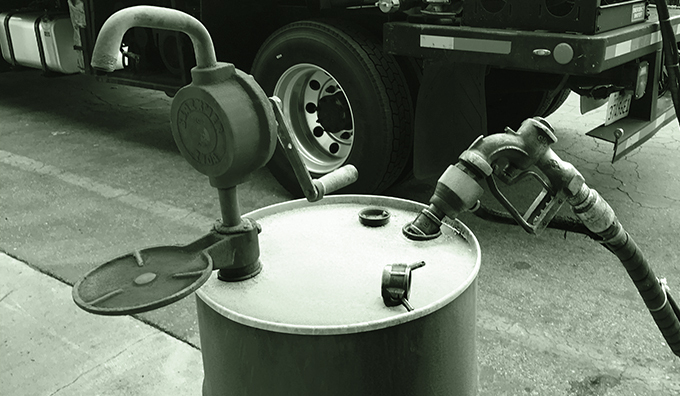 That’s why we will closely evaluate the needs of your business and set up a scheduled service profile for fresh solvent delivery and waste pick up. Plus, if your body shop has a spike in business, on demand delivery or collection can be arranged too. And you can even pay for our services online. Top-class dependability with the ultimate in convenience—that’s The PRR System. When you work with PRR you can rest assured that you would have no legal issues of your waste ending up in illegal landfills or being shipped to Mexico where oversight is limited. 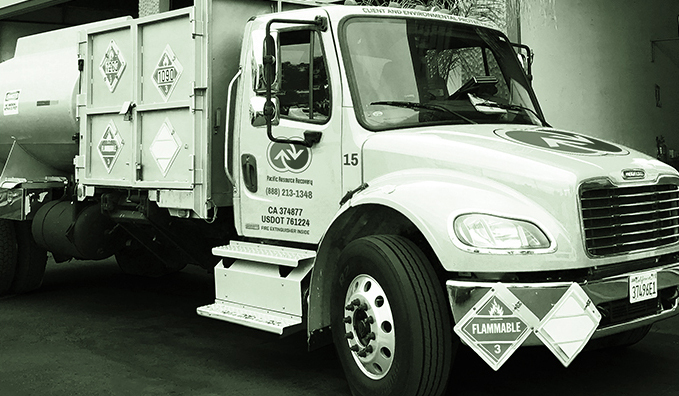 We’re in complete compliance with the EPA, DTSC, DOT, City Fire Departments and local CHP. From profiling to routing tickets, manifesting to finger printing and product labeling—we ensure each drum is clearly marked with the correct information and code numbers. Then, as required by law, all of your waste is recorded and reported to the DTSC (Department of Toxic Substance Control). PRR sorts, compacts, blends and completes the final processing of each manifest. As part of The PRR System we maintain all reports taking the pain out of your paperwork. Perhaps that’s why we serve over 3,500 satisfied clients. We’re proud to call some of the most respected body shops and valued California manufacturers as our clients. Our ultimate goal is to provide the peace of mind you need when handling solvents and waste streams. 3150 East Pico Blvd.. Los Angeles, CA 90023.